The Next Big Thing is Here (view larger). Switching to the new Galaxy S5 has never been simplerâ€”or smarter. With Samsung Smart Switch, you have the freedom to move from other smartphone platforms without fear of losing your personal contentâ€”music, contacts, photos and more. So now you have nothing to lose. Capture moments as they happen with the only camera youâ€™ll ever need. With a lightning-fast autofocus, you can frame, take and edit split-second shots like a pro. Weâ€™ve given your heart some love with the first-ever built-in heart monitor that responds to your touch. Meet your perfect workout partner as you track your steps, challenge friends, earn badges and get on-demand nutrition advice. Form and style have never been more functional. Dustproof and water-resistant, the Galaxy S5 is made for action. Whether youâ€™re running in the rain or digging in the garden, the Galaxy S5 will look good and work even better. Unlock your phone with the touch of a finger. Quickly access your work, websites and moreâ€”all without entering a password. Opening your phone has never been easier. Enable faster downloading, stream and browse faster. 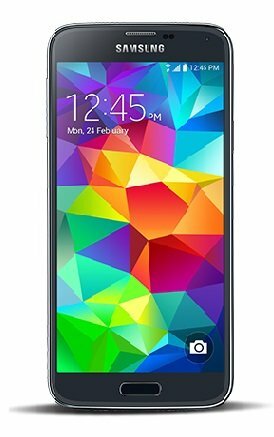 The Galaxy S5 allows you to enjoy the worldâ€™s quickest Wi-Fi connectivity and the latest LTE connectivity available on any network. Working from a crowded coffee shop? Download Boost combines both Wi-Fi and LTE to give you even more acceleration. Weâ€™ve put everything we know about HDTV on brilliant display. Movies come to life as they were meant to be seen. Richer colors, darker shadows, faster response timesâ€”all on 62% more viewing area than the leading competitor. About to run out of power but canâ€™t miss an important call? Use Ultra Power Saving Mode to turn the Galaxy S5 screen to black and white and shut off nonessential apps, so you get the maximum battery life for your device. That way, when youâ€™re down to 10% charge, you can still receive calls and texts for up to 24 hours. Introducing Moto G Play, the phone that gives you more of what you love. Enjoy the fast, reliable performance of a quad-core processor when youâ€™re watching videos or playing games during a break. Count on a battery that lasts all day, so you donâ€™t worry about running out of power. The best part? You only have to spend a little for a phone youâ€™ll love a lot. Moto G Play. Entertainment for all. Meet the new Studio selfie 2. Redesigned with a slim form, the latest addition to the BLU selfie family with a focus on a great camera experience. The Studio selfie 2 was designed to fit in the palm of your hand for the best camera experience. The LG G3 Beat smartphone is equipped with a 5- inch display powered by 1.2GHz processor alongside 1GB RAM and 8-megapixel rear camera. ASUS ZenFone 2E has a stunning, all-new design employing iconic ASUS design elements that echo the spirit of Zen, with a distinctive concentric-circle detailing. The graceful Ergonomic Arc case tapers to a bold yet elegant look, and the rear-mounted volume-control and shutter button is ideally positioned for your index finger. The vivid 5-inch HD IPS display packs an incredible 294ppi pixel density bordered, giving ZenFone 2E a remarkable screen-to-body ratio for a maximized viewing experience - everything you see is bigger, brighter and more beautiful. ASUS ZenFone 2E's powerful IntelÂ® AtomTM processor can easily handle multiple tasks and deliver an immersive gaming experience and up to 19 hours of talk time. ZenFone 2E's 8MP PixelMaster camera and f/2.0-aperture lens captures stunning, high-resolution photos with zero shutter lag. The industry-leading Low Light mode employs pixel-merging technology to capture up to 400% brighter photos at night, or in low-light scenes, without the need for a flash. HDR mode lets you see clearly through daytime shadow. Alcatel IDOL4S, The Perfect Amount of Unreal. Pairing the perfect balance of superior performance and design, the Alcatel IDOL 4S with virtual reality goggles, combines high-end form and function in a value-packed device bundle. The IDOL 4S comes loaded with all the features you need in an affordably priced unlocked smartphone, including a brilliant 5.5-inch QHD 2K AMOLED display, Qualcomm Snapdragon 652 processor, 3.6-watt JBL certified speakers with Waves Audio and Synapticâ€™ fingerprint sensor technology. It also features an industry first smartphone + VR goggle packaging bundle: where smartphone and VR goggles are packaged together. The IDOL 4S also features Alcatelâ€™s exclusive Boom Key which brings a variety of experience enhancements with just one push of the Boom Key button. 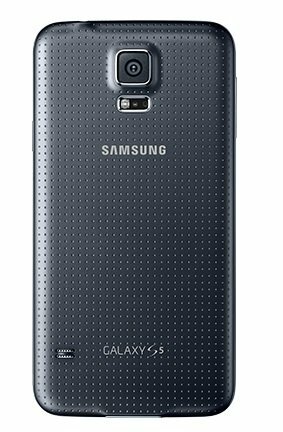 Top Level Categories for Samsung Galaxy S5, Black 16GB (Verizon Wireless).